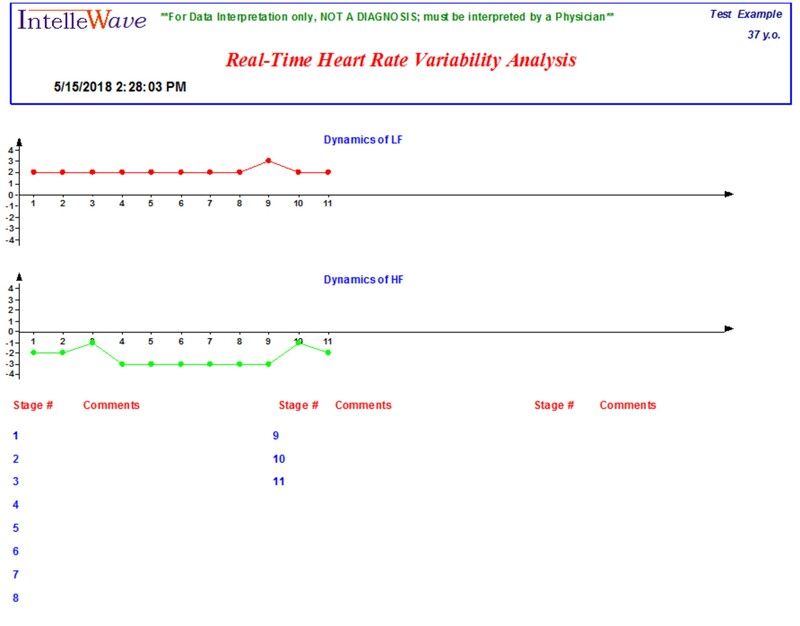 R-R intervals variability and continuous blood pressure measurement provided by Intellewave allows physicians to monitor the activity of both sympathetic and parasympathetic branches of the autonomic nervous system (ANS) in order to assess the state of a patient’s autonomic function. 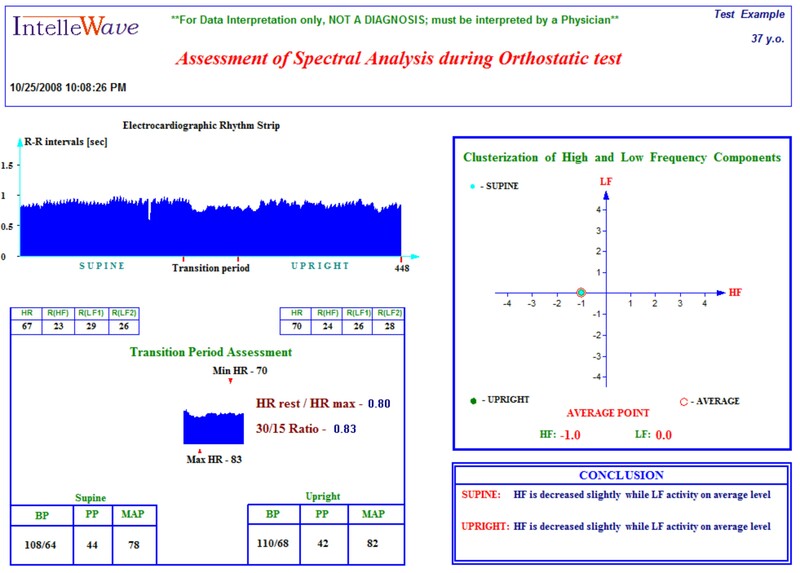 Assessment of reaction of the ANS on orthostatic intervention (lying-to-standing test). Assessment of autonomic reaction on Valsalva maneuver followed by deep breathing. 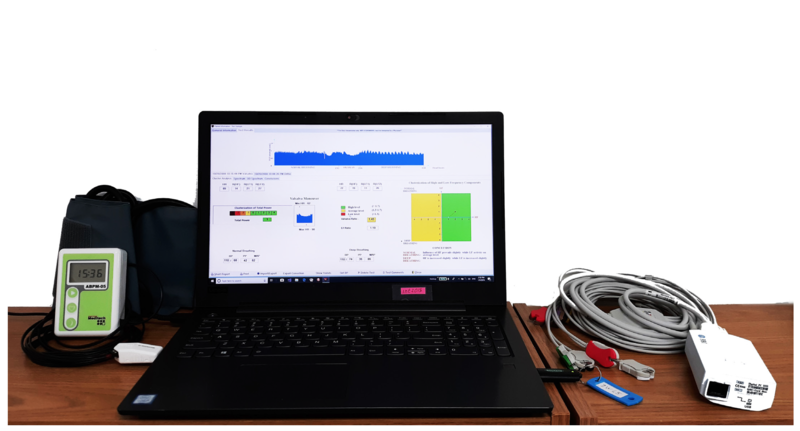 Real-time autonomic assessment, where results are updated with selected frequency (which can range from several minutes to several seconds). R-R intervals Variability and continuous Blood Pressure testing, or variations of beat-to-beat intervals in length, is regulated by both sympathetic and parasympathetic branches of the autonomic nervous system. 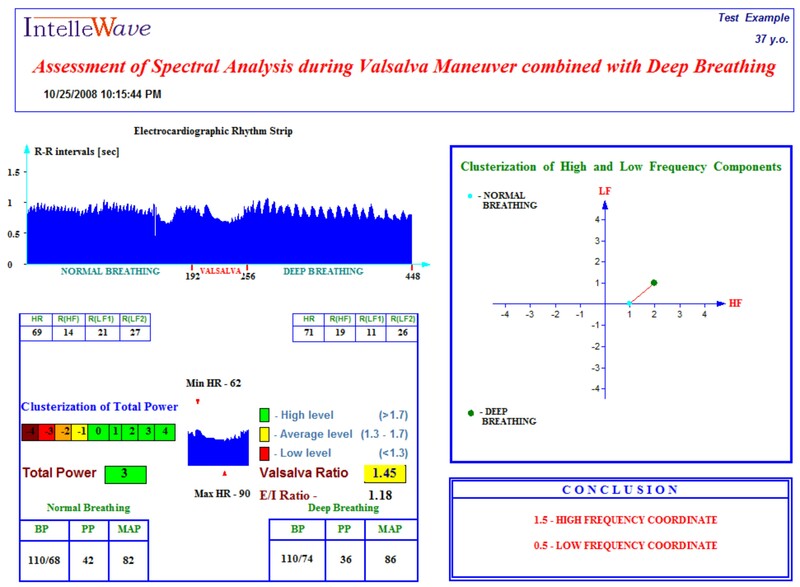 Intellewave uses power spectral analysis for quantitative assessment of Heart Rate Variability and presents the results in the chart shown on the right, called Clusterization Chart. 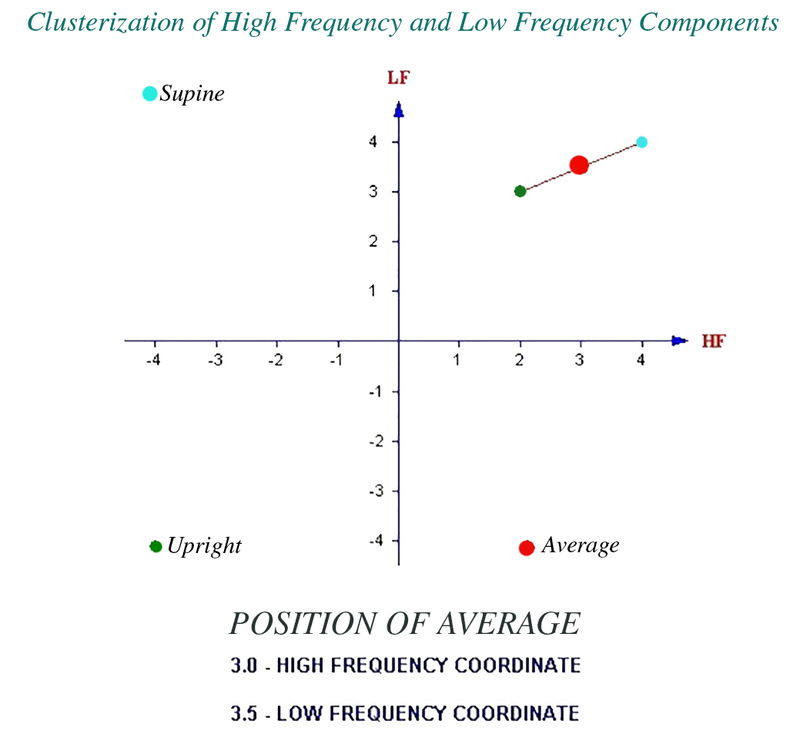 The system measures interrelation of the two most significant components of HRV analysis - power of high frequency (HF) variations and power of low frequency (LF) variations and displays them on the Cartesian system of coordinates.